Self/less opens with Damian who is on top of the world. He built a successful empire and has everything a person could want. His penthouse is opulent or shall I say “Trump-sized.” Gold in every crevice, the doors, window frames, wallpaper, etc. and it even has a fountain in the living room. However, Damian has one friend, and is essentially alone. He is a divorcee who is estranged from his daughter. Damian has fought long and hard for what he has, but he has lost as much as he has gained. He’s about to lose more…Damian is dying from cancer. Enter Dr. Albright who asks Damian, “Do you feel immortal?” As if living forever in this world would be a good thing. 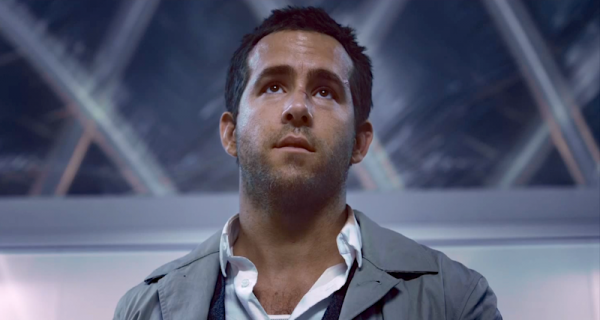 Through Dr. Albright and his company, Phoenix Biogenic, offers the process of shedding, transferring Damian’s consciousness into a new and younger body (Ryan Reynolds). Damian has a chance at a fresh start or does they? 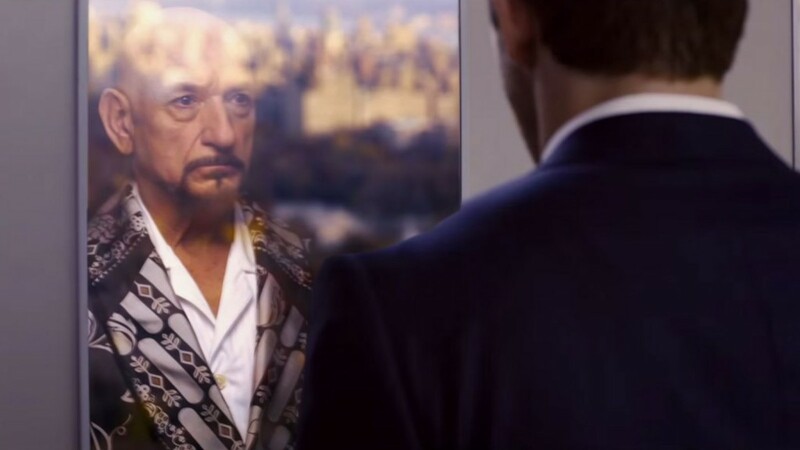 I know this is not hard to believe, but Sir Ben Kingsley nails the portrayal of a pompous all-knowing elitist. Kingsley has seemingly effortless style of bringing a character to life (Gandhi, Ender’s Game, Iron Man 3). Is there a character that he cannot bring to life with precise realism? 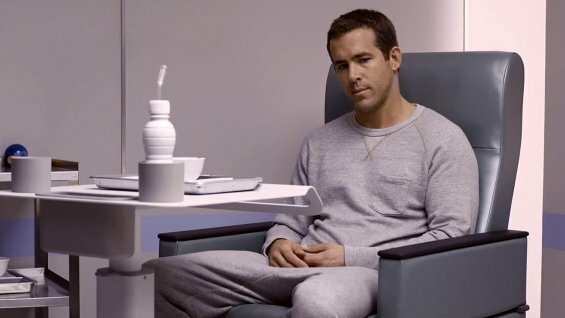 I continue to be amazed at the progressive depths of Ryan Reynolds’ acting abilities. After seeing Reynolds in Woman in Gold, I realized that I had a more profound respect for him. Initially seeing Reynolds in films, like Blade Trinity, X-Men Origins: Wolverine, and Safe House, was for me saying, “There is the hot guy that talks too much.” Reynolds’ quality has begun to rise and I’m curious to see what else he call bring out of himself. Although, we only saw Kingsley for a short portion of the film, Reynolds did a decent job of not just mimicking Kingsley’s mannerisms, but also presenting a hybrid of the two. I didn’t really believe Natalie Martinez’s portrayal of Madeline “Maddie.” It is hard to put a finger on the issue. She was much more believable as the witty and sassy Case from Death Race. Perhaps the Maddie’s character was meant to be lame and off-putting. In Death Race, Case ruled every shot she was in. In Self/less, Anna (Jaynee-Lynne Kinchen), Maddie’s daughter, who is positively delightful, is constantly upstaging Maddie. Her innocence and adoration for her parents are so transparent with the honesty that only a child freely gives. This appears to be Jaynee-Lynne’s first film and she is excellent in her delivery and screen presence. She is a darling without a doubt; I look forward to her future works. Other than the golden excess, the film is fairly realistic in its color scheme. After seeing both The Cell and The Immortals, I would have expected Tarsem Singh (director) to use a more vivid use of hue bring Damian’s world to life. Self/less’ color design is kind of muted. Perhaps it was a style choice since Damian moves from an opulent lifestyle to a new existence. Self/less has a great story with proper execution. The possibility of the transmission of a person’s being/essence into another body is mindboggling. Even though The 6th Day is another example of this science fiction/future, Self/less brings its own little twist to the table. I will also say that Self/less’ tagline “God created man. Man created immortality.” is quite arrogant. How could man create immortality when it already existed? I understand the need for a solid, catchy, promotable tagline, but that’s a big stretch. Aside from a few overly fast-paced montages, I really enjoyed Self/less. It is a psychological thriller that takes the viewer on a spiraling mind trip. This entry was posted on Monday, July 6th, 2015 at 12:16 pm	and is filed under Film, News. You can follow any responses to this entry through the RSS 2.0 feed. You can skip to the end and leave a response. Pinging is currently not allowed. i enjoyed reading your review, janet, but was surprised at the end to find you gave it such a high rating. i’ll have to go see it to follow your good thinking. « Film Review: ‘The Three Hikers’! !